It's Election time! NO, not that one...this one is SUPER-FUN! It's ELECTION time - no, not THOSE elections - this is a FUN one!! 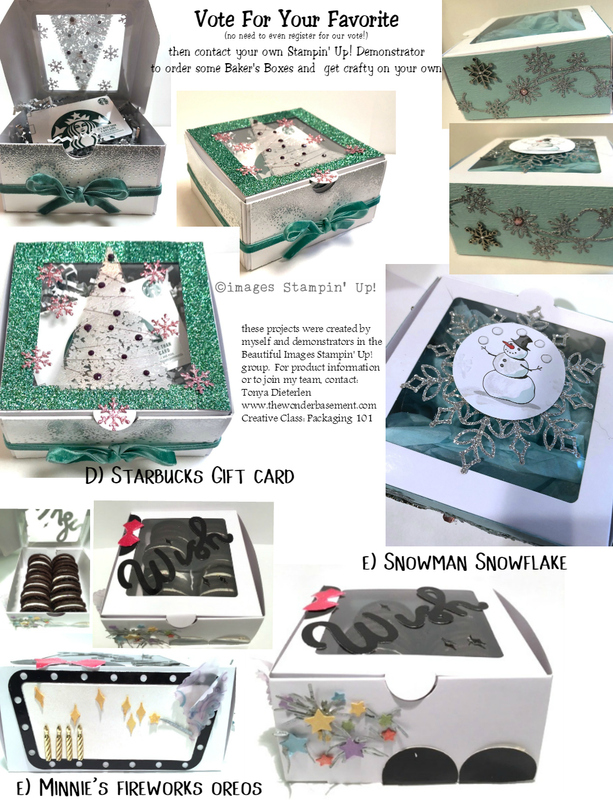 You know those plain white baker's boxes in the Holiday Catalog - well - here are some ideas that you can do with them (created by girls on our team!) Vote in the comments below for which is your favorite! And maybe order some yourself and see how CREATIVE you can be!